One of my beauty goals is to firm up my neck so that it can correspond to the look of my face. Â What I mean is that if I’m want to look younger, then my neck has to reflect that as well. Â No point having a lovely complexion with firm skin on my face when my neck is going to be a dead giveaway of my true age! And while it is important to moisturize our neck and give it whatever goodness we’re serving our face with, I’ve never believed in using special neck creams. Â However, I do believe that massages and neck exercises can help to firm up that region. So I was happy to have found this video, which shows a few exercises to firm and lift the neck. I know I’ve not really advocated facial yoga in some of my posts. Â The reason is not because I don’t believe in it, but rather, because I think it should be done under correct supervision so that you can obtain the optimum results. Â (Okay, maybe I’m just not so confident on performing them right myself.) Â However, I found these exercises made sense to me and are relatively easy to follow. More importantly, it doesn’t take up a lot of time and I can do this in front of my computer too! 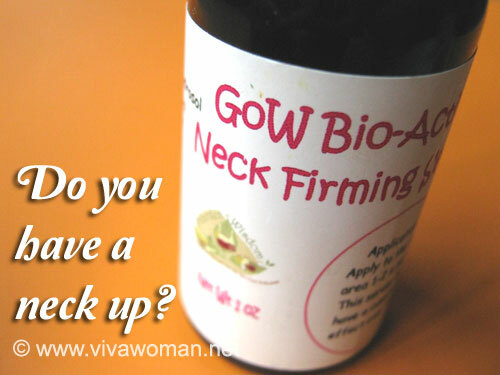 Easy ways to lift your face and firm your neck Do we need special neck creams? 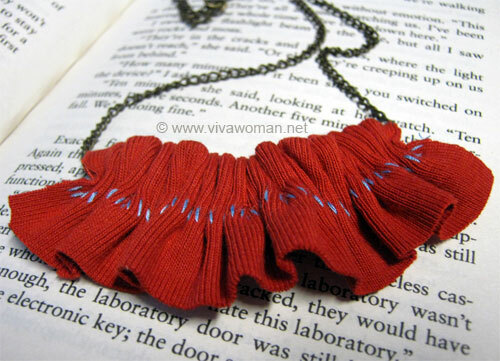 Ruffle up your neck with these DIY necklaces Share: do you provide special care to your neck? It does stretches the neck extremely. haha. My neck is wrinkly…many lines…sighh…I should do this. I have always had wrinkles on my neck, genetics…..now that I am older, it is getting worse! Although I have very few facial wrinkles, also genetics, I fear I have not always paid attention to my neck area either! This exercise may work but do you have any other product tips you may have tried that will help in addition to doing exercise? No, I’ve always just used whatever moisturizer on my face. You may want to check out those special neck creams in the market. Awesome! What a great, healthful alternative to cosmetic surgery! Yes, but do not that the results may not be as “astounding” as cosmetic surgery.